Oh those Stinson Girls. 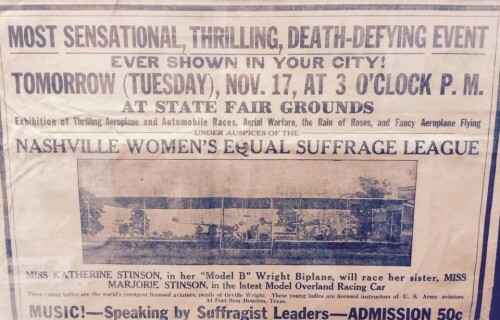 What did they get up to — airplane versus car race, Nashville, TN, 17 Nov 1914. Thanks to George Shotwell for sharing this with us.